Home / Recipe / Grab and go egg muffins loaded with cheese and bacon! Publisher: Geoffrey Nevine September 20, 2017 This information is provided solely as a guideline. 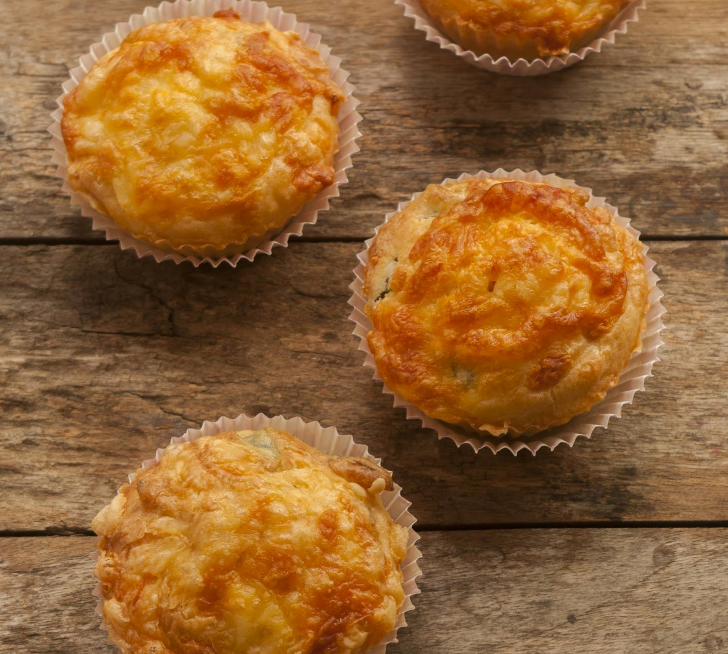 Wake your family up in the morning with these Savoury Delicacies; Cheese and Bacon Muffins! Quick & easy breakfast recipe for busy mornings! Grab and go egg muffins loaded with cheese and bacon! The best thing about these muffins is the whole family will love them. In fact, I have to either double the recipe or make two batches most weeks because of my daughter and husband like to munch on my stash which I’m totally ok with because they are so light and healthy for you! Cook bacon in a pan over medium-high heat until crisp, about 10 minutes. Drain the bacon slices on paper towels and crumble once cooled. Preheat oven to 200°C. Grease 24 muffin cups with some vegetable oil. Mix flour, Cheddar cheese, Baking Powder, garlic salt, and black pepper together in a large bowl. Beat eggs, milk, and Top Fry together in a small bowl; stir into flour mixture just until moistened. Gently fold bacon through the batter. Spoon batter into prepared muffin cups. Bake in the preheated oven until a toothpick inserted into the center comes out clean, 20 to 25 minutes. Serve warm.